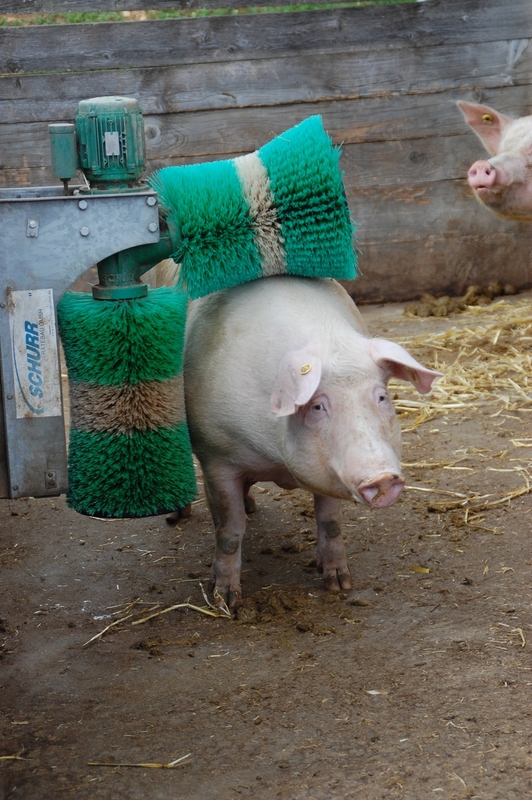 Your pigs are clean and feel 'sauwohl'. 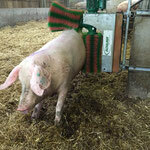 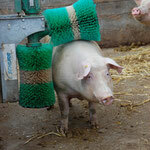 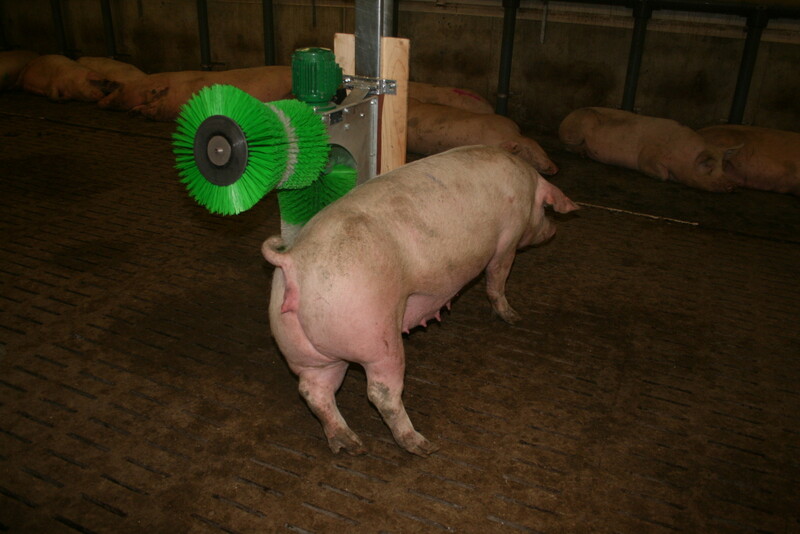 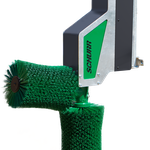 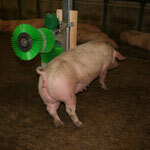 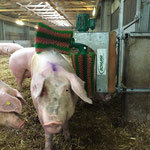 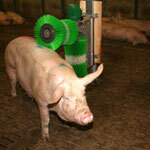 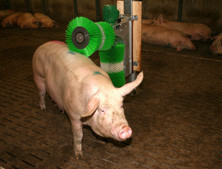 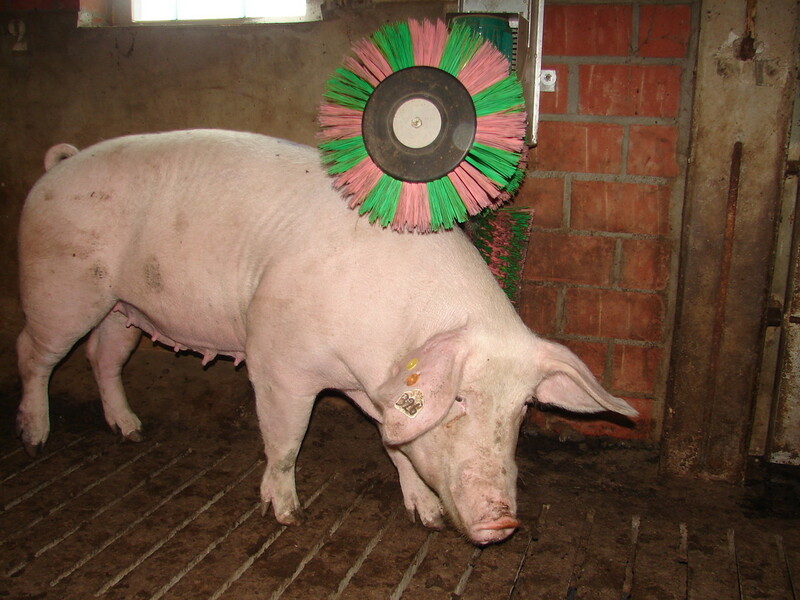 Already in 2002 we have developed and installed our first pig brush for a customer. 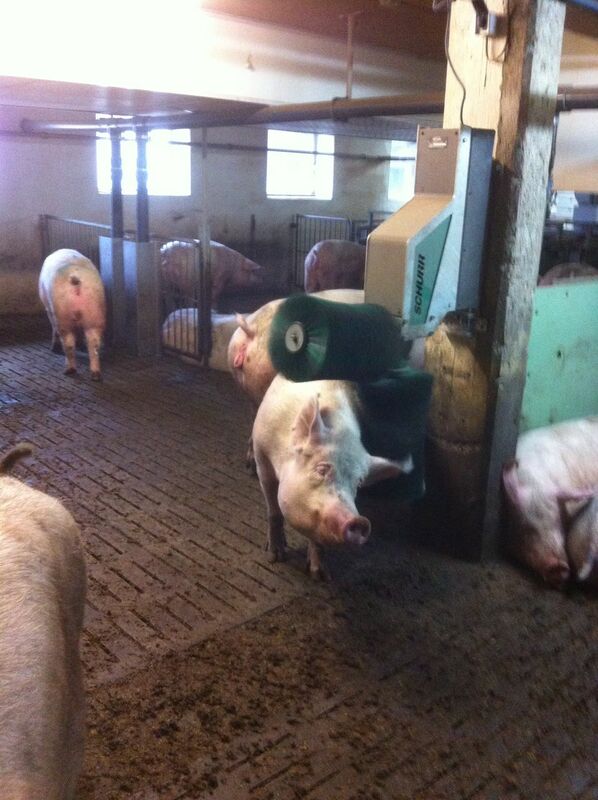 This is still operating successfully. 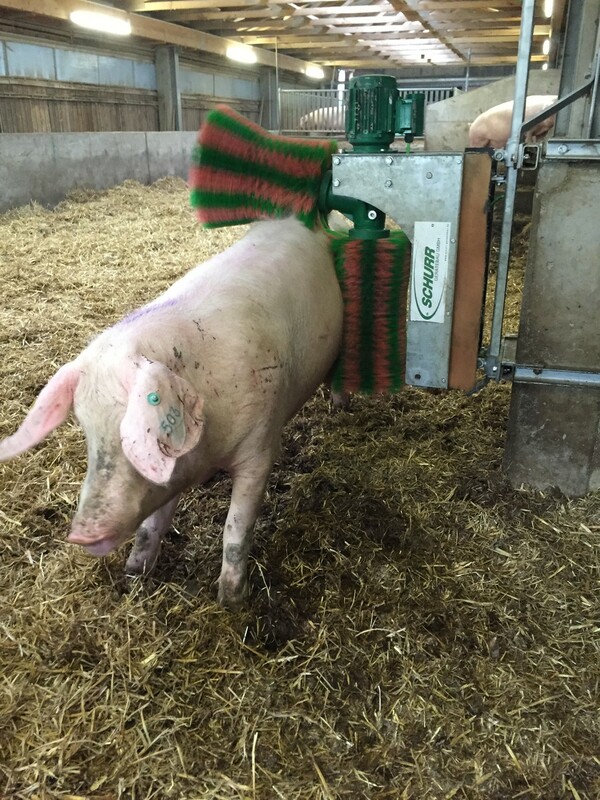 The brushes have never been replaced! 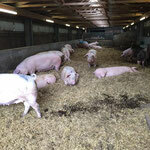 Sows are today kept in group housing. 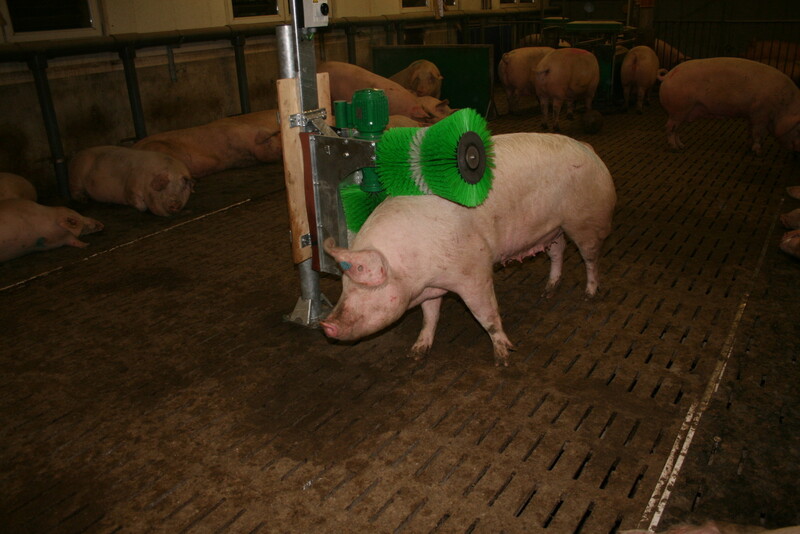 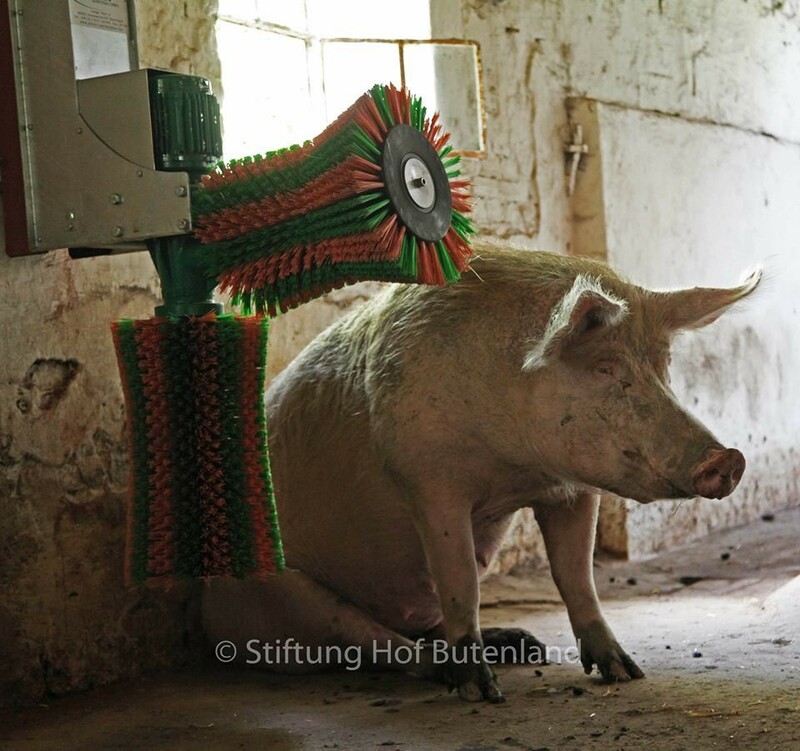 The animals are allowed to brush and massage with our automatic pig brush. 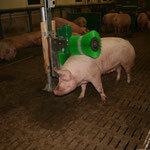 This increases the welfare of the animals. 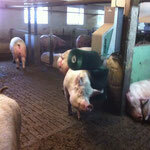 The sows are healthier and calmer. 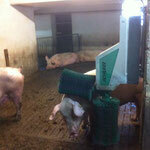 The employment operation of the animals is satisfied and there is much more calm and less aggression in the barn. 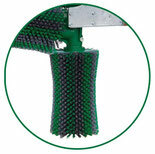 Nylon has proven successful as bristle material. 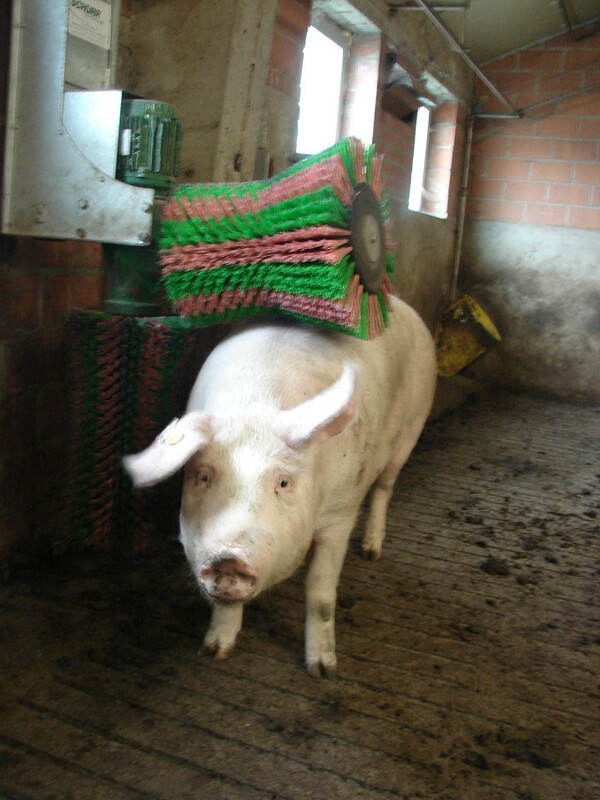 "A picture is worth a thousand words" - but a video says much more! 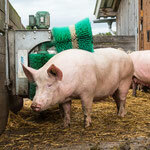 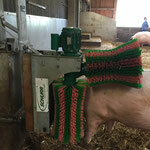 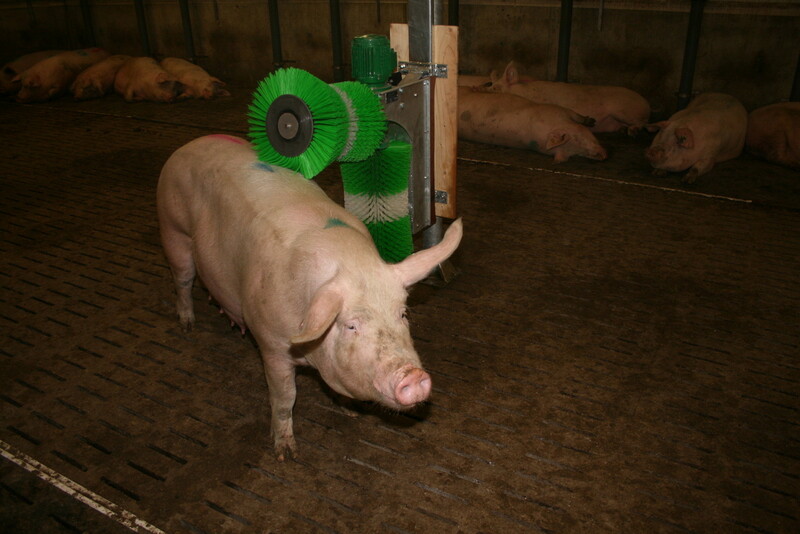 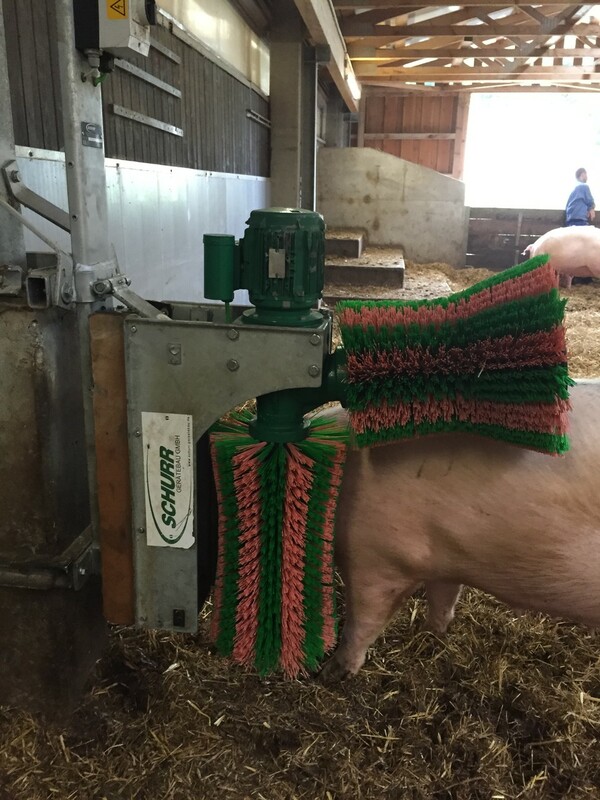 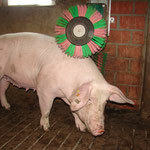 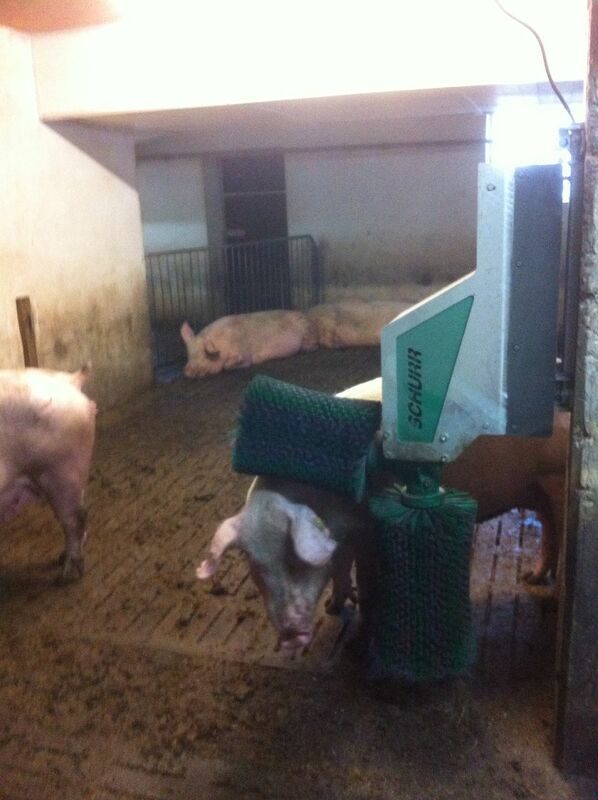 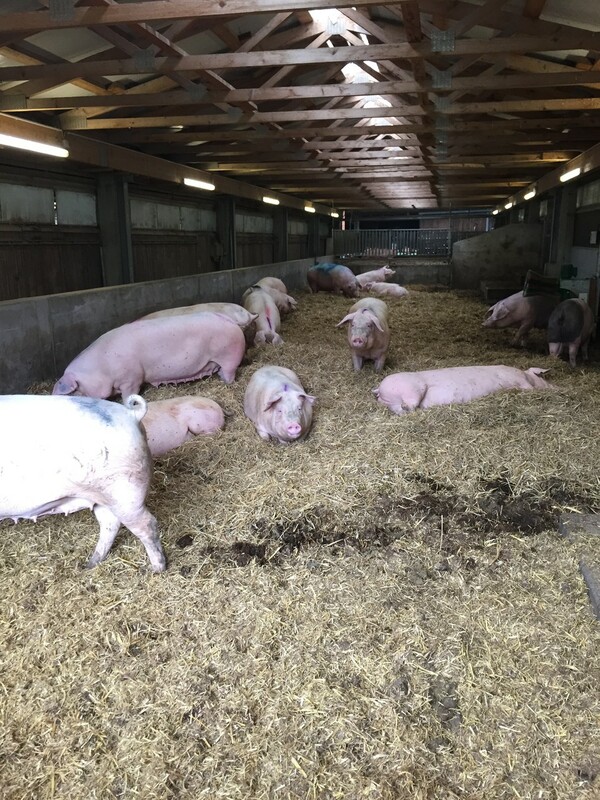 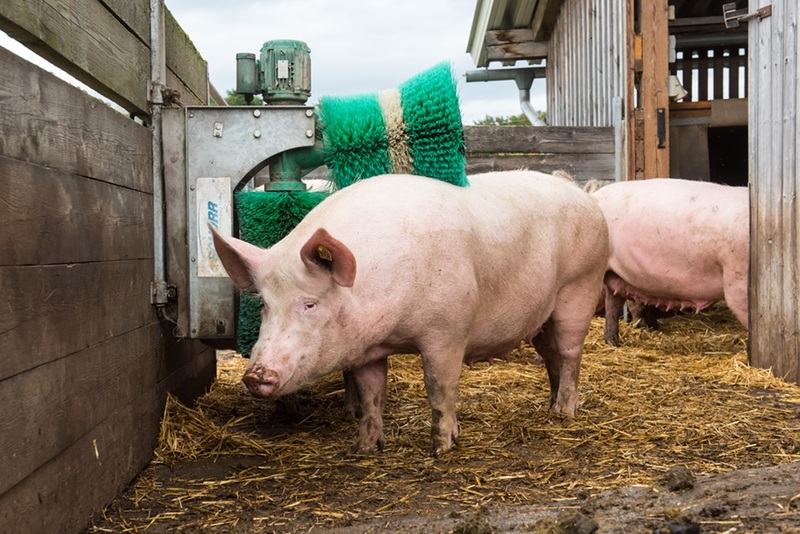 See for yourself, how happy are the pigs when brushing and massaging at SCHURR 2-brush system. 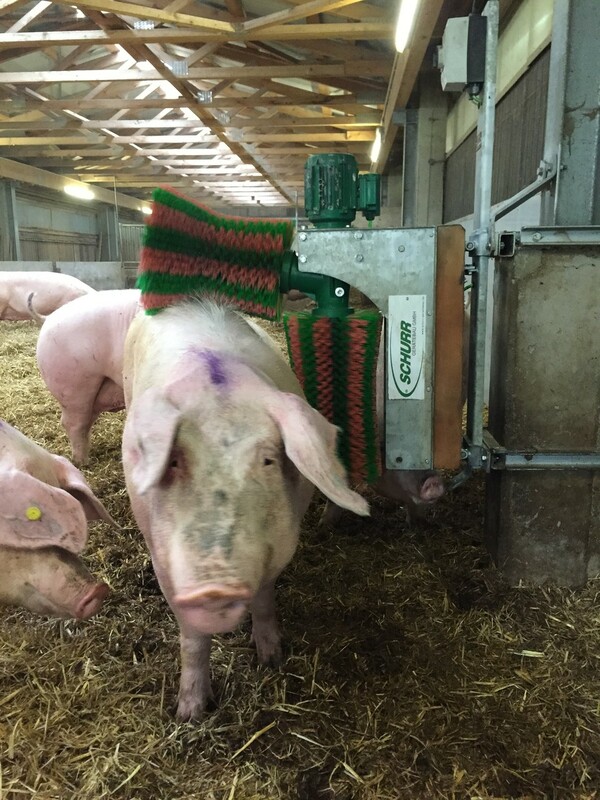 Selective cleaning is possible everywhere. 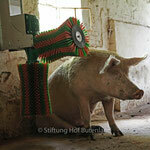 we will publish your photos on our website and send you by mail a small gift. 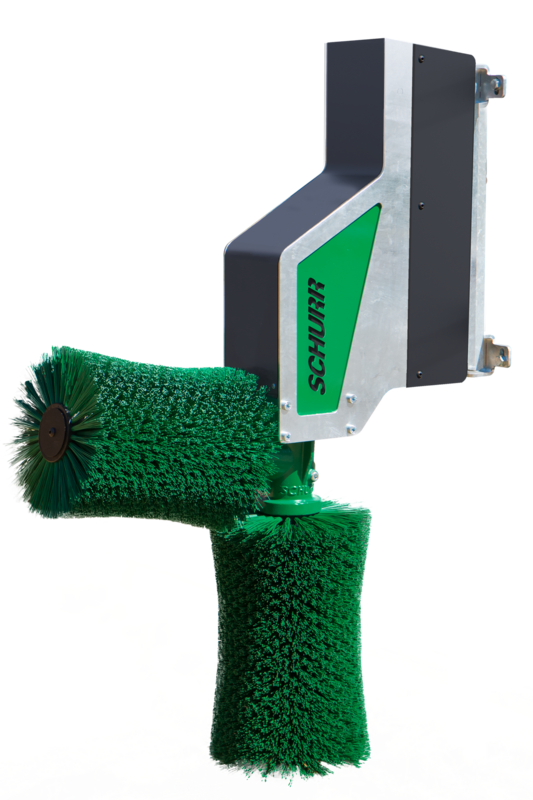 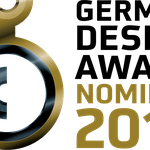 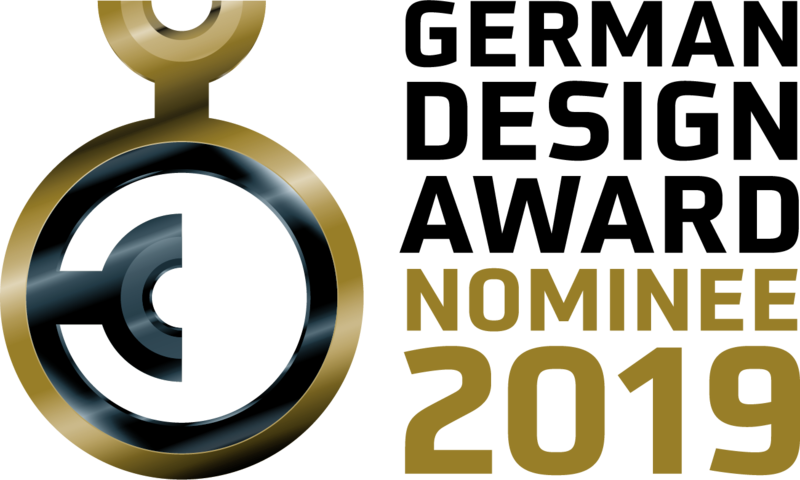 All our products are developed by ourselves and are manufactured in our own production here in Germany by us. 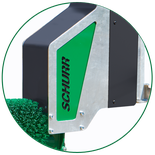 Parts are manufactured specifically and exclusively for us. 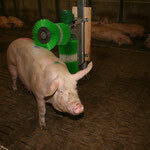 Long-term partnerships with our suppliers ensure reliability and consistent quality. 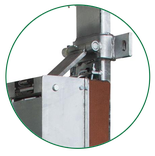 height adjustment min. 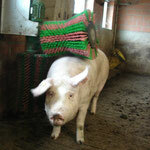 30 cm / 11,8"